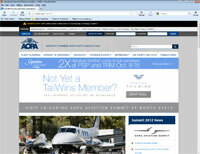 Thinking About Buying Your Own Airplane? 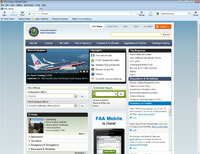 Purchasing an airplane can be a difficult task. Most new pilots do not know the technical and mechanical requirements that determine whether a plane is a "good deal" or not. We recommend you have someone with experience and mechanical knowledge help you make your final selection. Also, a few of our students have hired Marc C. Coan of SkyMachines.com to help them find the perfect plane and he comes highly recommended. Mark offers comprehensive services including supplying you with basic "book values," researching FAA and NTSB records, negotiating price, and supplying you with the tools for financing and insurance. OMG. There's been a fire, or you've been robbed, or perhaps you just misplaced it, but in any case, your logbook is nowhere to be found and it's the only evidence of all your hard-earned and expensive flight hours. What are you going to do?! Sadly, this is an all-too-common situation and one in which there's not much help. But if you regularly back up your logbook in some fashion, there's little need to worry! And there are many easy ways available to create a backup – from online tracking services, to creating electronic .pdfs, to simple photocopies – they all work. So back up your logbook today! 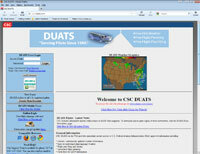 Here are some of our favorite websites. 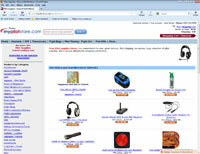 Click on any category for more information. 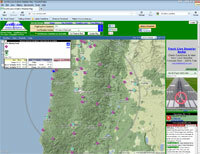 This site displays live pilot reports, current and forecast weather (PIREPs, METARs, TAFs), temporary flight restrictions (TFRs) with optional radar overlays using Google maps. 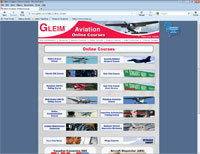 The site hosts a very large number of airports' information such as runway distance, airport frequencies (CTAF, Tower, Ground, ATIS/AWOS, ILS, departure, approach, center, clearance delivery, emergency, and FSS/FBO frequencies), airport facilities and services, operations, chart location, navigational coordinates and locations, radio aids, ownership information and other pertinent information that all pilots need when traveling into or out of an airport. This site supplies digital VFR sectional and IFR enroute charts of the United States that look great, are super easy to use and, best of all, are completely free. Now, SkyVector has expanded its coverage exponentially by unveiling worldwide charts. 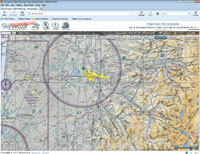 Along with the rollout of the new charts, additional weather overlay products are also now available at SkyVector.com, including Airmets, Sigmets, TFRs, and radar and satellite imagery. To reduce runway incursions and improve surface navigation, the Air Safety Institute, in conjunction with the FAA Runway Safety Program Office, is pleased to provide airport taxi diagrams and runway hot spot diagrams for the busiest U.S. towered airports. Taxi diagrams are updated regularly, so check before each flight to be sure you have the most current diagram(s). 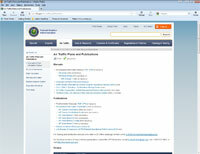 The FAA has many major roles which includes regulating U.S. commercial space transportation, issuing, suspending, or revoking pilot certificates, and developing and operating a system of air traffic control and navigation for both civil and military aircraft. Official Guide to Basic Flight Information and ATC Procedures including international flight information, updates and amendments. 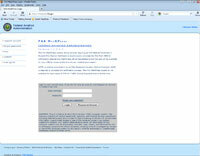 Offered in sectioned .pdf format for easy downloads. 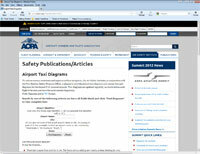 The AOPA Air Safety Institute offers many online courses including IFR Insights, Runway Safety, Radio Communication and many other advanced courses all focused on safety and topics that keep you up to date with today's aviation practices. 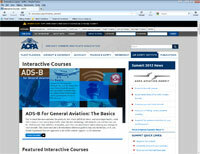 Media-rich online courses for the FAA pilot, instructor, and maintenance technician, focusing on pilot safety, recurrent training, and general flying skills. Founded in 2005, FlightAware was the first company to offer free flight tracking services for both private and commercial air traffic in the United States and quickly rose to become the most popular flight tracking service in the country. FlightAware currently provides private aviation flight tracking in over forty countries as well as global solutions for aircraft with satellite uplinks. 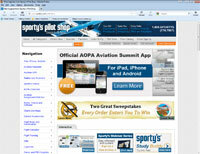 Part of Sporty's Pilot Shop, this site discusses everything iPad for the pilot, from tips and tricks to reviews of apps. 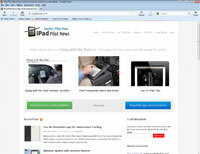 This is a must for anyone using an iPad in the cockpit. CPA is dedicated to providing owners of Cessna piston singles and twins with the technical information, support services, and social events to allow them to enjoy and preserve their Cessna aircraft in a safe and economical fashion. 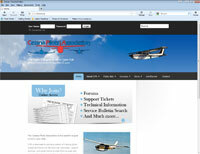 We've been serving the Cessna-owner community for almost 30 years. AOPA Member Products offer a range of products and services for pilots that help make flying more fun, affordable, and hassle-free including pilot protection services, aircraft insurance, aircraft financing, and much more! 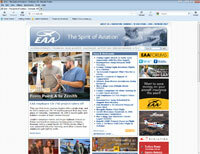 EAA membership makes you part of EAA's grassroots community of aviators and innovators who've been sharing their passion and experience with one another for more than 56 years. 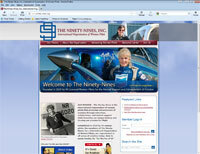 Sporty's, the world's largest pilot shop, has been offering high quality aviation products and supplies for more than 50 years. Many of these products are designed in-house by our staff of pilots and tested in our flight school. Our experience as pilots, as educators, as airport managers, as aviation advocates – along with our many other endeavors – affords us a unique qualification to provide only the products and services that are the best value to our customers. A great black and white photo essay of the culture and people of Hobby Field. 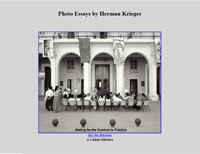 Herman Krieger, the photographer, is an independent photographer living in Eugene, Oregon. His work has been featured on OPB's Oregon Art Beat as well as various websites. Krieger currently has a book of photos entitled "Churches ad hoc".